So, Nancy Tried to Leave the Country During The Shutdown Again? The government shutdown has lasted 20+ days. House Democrats and the Trump White House cannot agree on funding for border security. We’re talking $5 billion here, folks. It’s a rounding error in federal budgeting. Democrats, having retaken the House in the 2018 midterms, are not willing to play ball with Trump. They want to fight, stall his agenda and score political points. At the same time, keep the cancerous legions of their progressive base sated as they thirst for blood against an administration they view as the personification of evil. Both sides aren’t budging. Democrats see the polling. Trump is blamed. Trump sees the polling too and sees that border security, curbing illegal immigration, and the wall itself are proposals that are popular or gaining in approval respectively. Both sides are at equal risk for overreaching. 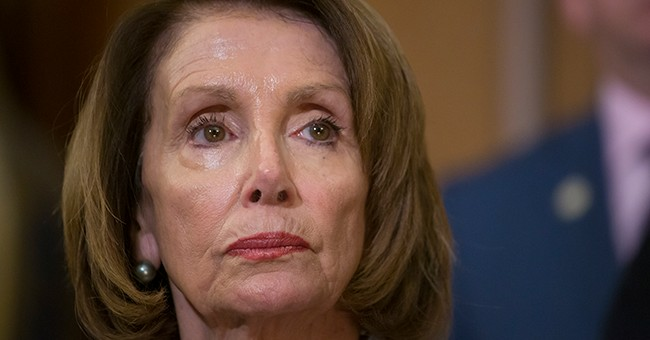 While this game of political chess continues, Pelosi decided to virtually disinvite Trump from delivering the State of the Union address on January 29th. She cites the current shutdown and security concerns, the latter of which was torched by the Secret Service who said they’re prepared to handle any security situation. Yesterday, Trump decided to drone strike the Democrats’ delegation to Brussels and Afghanistan. House Speaker Nancy Pelosi abandoned her plans to travel commercially to Afghanistan after President Trump canceled her military flight, while leveling the remarkable allegation that the commander in chief, with authority over security preparations, had imperiled the safety of lawmakers and troops when he disclosed the confidential plans. Drew Hammill, a spokesman for Pelosi (D-Calif.), on Friday blamed the Trump administration in a written statement for revealing news of the trip, which was set to include several other House Democrats. “After President Trump revoked the use of military aircraft to travel to Afghanistan, the delegation was prepared to fly commercially to proceed with this vital trip to meet with our commanders and troops on the front lines,” Hammill said. In all, the lead negotiator and one of the principal actors in ending this shutdown tried to leave the country...again. Talk about great moments in leadership, huh? Also, it shows that Democrats, as we've known since day one of Shutdown theater, are more concerned about scoring points against the Trump administration and blocking its initiatives than re-opening the government and trying to grow the economy. In the meantime, the Trump White House remains committed to border security. Build that wall.